The North Shore Inn is an exclusive property where every guest reservation is both important and special to us. 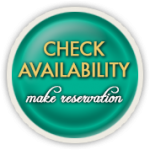 If your travel plans change and you must cancel your reservation, please call us at least 7 (seven) days* prior to your arrival date to cancel your reservation less a $20 per room, per night processing fee. In the unlikely event that you must cancel with less than seven (7) days* notice, shorten your stay or check out early, please understand that we must ask you to take responsibility for your entire reservation. If we can rebook your room(s), a full or partial refund may be made less a processing fee. Rates/policies are subject to change and vary during high impact periods & special requests. There is a $13 per day/ per room surcharge. *A 30 day cancellation notice is required on whole house bookings, for holidays & holiday weekends & special events OR A FULL CHARGE WILL BE IMPOSED. There is an additional $20.00 charge for one night stays on a Friday or Saturday if only staying one night. If one night on a holiday, an additional $20.00 may be imposed. Disturbances will not be tolerated and you will be asked to leave at your expense. We want every guests to have a pleasant stay with us. Please count children as guests also, if there is an emergency we need to know how many people are here. If your should have "extra guests" in the room you may be asked to leave at your expense. A 30% non-refundable deposit is required up-front. Any part of the Inn which is canceled must be done a minimum of one month prior to reserved date or a full charge will be imposed for the rooms involved. We do give Military discounts. Military discounts are 10% and are for Active Military who are checking into the hotel as a guest. It is only valid on the room the Military guest is actually occupying, and must be mentioned at the time of booking. Valid ID is required upon checking in. Check-in: 2:00 PM - 8:00 PM. If arriving outside of check-in times, please call to make arrangements in advance or a $30.00 fee may be imposed. Absolutely No Smoking inside any rooms. A minimum fine of $150.00 will be imposed if any evidence is found that there was smoking in the rooms; however, designated outdoor areas are available. 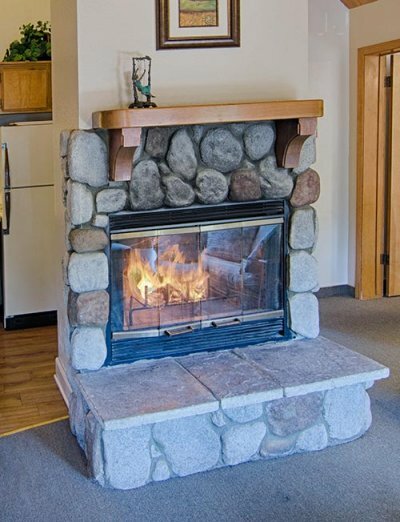 In rooms with fireplaces, you are provided a duraflame log per night. NO real wood please. You will be charged for any burns in carpet from wood, candles, irons, curling irons or any other objects up to cost of replacement. There is a $25.00 per night, per pet fee. Canine family members are welcome in rooms one through three. Feline family members are welcome in rooms one only. Please do not leave them unattended as they can get scared too.